As franchising becomes saturated in developed countries, the emerging markets like the Far East, China, India, South America, Eastern Europe and Africa become fertile grounds for franchising to take root. 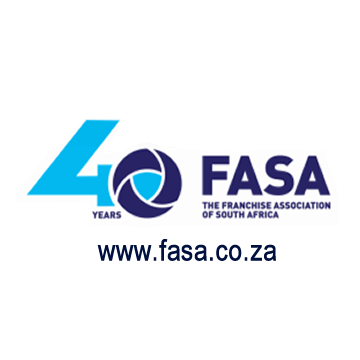 FASA has spent many years making sure that the international franchise community is cognisant of the potential that lies within South Africa. As the future frontier of franchising, Africa and in particular South Africa needs to stand up and be counted. It is a recognised fact that South Africa is the springboard for potentially explosive growth into Africa and the stark reality is that the broader African economies cannot grow in isolation as the continent’s future is inextricably linked to South Africa and the example it sets. The most important benefit for franchise companies who join the Franchise Association of South Africa (FASA) is that of being able to align themselves and their brands to an internationally recognised body that adheres not only to international best practices but to the sound business ethics established through the country’s various legislative channels. Members can also network with other franchise owners in diverse sectors and have access to affiliate members such as suppliers, franchise consultants, financial institutions and attorneys. South Africa’s population of around 50 million people offers diverse opportunities for companies wishing to establish themselves in the country. Although the majority of the population fall into the lower end of the earning bracket, there is a growing middle class and, whilst luxury products cater to a more exclusive market segment, products and services appealing to the middle market are gaining popularity. There is room for growth for lower entry franchise opportunities especially in the services and recycling categories with social and tandem franchising a welcome solution to some of the country’s service delivery challenges. South Africa has a wide network of retail developments – from luxury urban to rural – throughout the country and FASA is happy to refer new entrants to the market to the Shopping Centre Council of South Africa for further information on sites and rentals.